0 of 5 spaces available - fully booked! 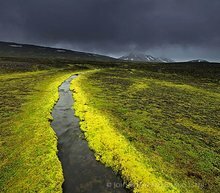 Led by pro photographer and international workshop leader Johnathan Esper of Wildernesscapes Photography LLC, USA, with award-winning Icelandic special guest photographer Örvar Þorgeirsson for a session! 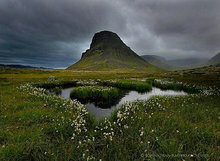 After tremendously successful Westfjords and Highlands 2012 and 2013 trips, I'm again offering this 13 day adventure photography tour and workshop exploring some of Iceland's most stunning, and remote locations, via 4x4 vehicle, offering a unique itinerary that's simply unmatched in terms of breadth or price, guaranteed. 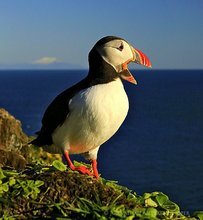 We spend 1 week in the Westfjords region, photographing puffins, fjords, and sea cliffs, and 1 week in the Highlands of Iceland exploring the famous Kjölur route, geothermal wonders, Landmannalaguer area, and the ever-poplular Jokulsarlon and south coast highlights. So many photo trips around Iceland skip the Westfjords altogether, and so this trip was specially designed to combine the Westfjords with a 4x4 Highland photography adventure, 2 of the most unique and unforgettable Icelandic geographical types. Day 4: Boat trip (included) from Ísafjörður out to Hornstrandir Peninsula, the premier wilderness hiking destination in Iceland, with an overnight stay at water-accessed-only Hesteryri outpost, recalling the old days of solitude and reliance on the sea. Opportunity to photograph friendly arctic foxes, the only native mammal to Iceland, and rushing mountain streams amid wildflowers with epic mountain backdrops. Day 5: Extra day built in to continue photographing the Westfjords region around Ísafjörður or alternate day for boat trip out to Hornstrandir peninsula in case of bad weather. Day 13 (02 August) Vik --> Skogafoss --> Seljalandsfoss --> Keflavik peninsula mossy lava --> drop-off in your choice of Reykjavik or Keflavik (accomodation not included). 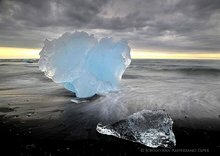 This incredible 13 day photography tour and workshop around Iceland, the legendary land of fire and ice, is meant for passionate outdoor photographers who desire to see and photograph Iceland in depth. The intensive itinerary is designed to help you photograph two of the most inaccessible, under-photographed, and most beautiful and rugged of all of Iceland’s diverse geographic areas, and also includes photo stops at many of the popular natural attractions that are considered must-sees. We photograph hidden treasures and remote outposts many Icelanders have never even visited, by driving in a large loop over many famous and rough 4x4 tracks, beginning and ending at Reykjavik. We will explore some of Iceland’s most photogenic Highlands regions for 6 days, that are inaccessible to most tourists, including 4x4 trips into the highland areas of Landmannalauger, and the southern glacial lakes of the great Vatnajökull icecap, and the geothermal wonders of the famous Kjölur Highlands Route. 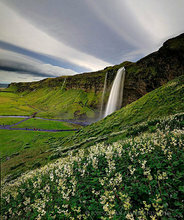 We’ll enjoy Iceland’s long summer daylight hours as we photograph highlights including erupting geysers and geothermal areas, nuzzle with Icelandic horses in idyllic green pastures, peer over sea cliffs alive with hundreds of thousands of birds including puffins, swim in warm volcanic springs, hike up mountains for panoramic vistas of Iceland’s green mountains, explore some of Iceland’s stark highland regions, and photograph and walk on Iceland’s glaciers. Photography Instruction: A maximum group size of 6 photographers ensures you will receive ample personal photographic coaching in the field from a full time working pro, maximize the group’s flexibility and ability to shoot more places, more spontaneously based on light and weather, and provide an intimate small group adventure experience. This photo tour is all about in-the-field field photography and situational instruction working alongside your leader, and there will be no classroom workshops or presentations. Photographic topics that will covered while shooting include classic landscape photography composition and technique, HDR (High Dynamic Range) imagery, panoramic photography, adventure and travel photography, tilt/shift focusing, and slow shutter -speed effects. We will also be going on some shorter hikes (1-3 hrs) to truly experience Iceland, which was listed as one of the top 10 travel destinations in 2010 by leading guide books. Group participants may wander on their own occasionally if they wish to pursue individual photographic objectives, enabling each participant to get the most out this once-in-a-lifetime trip. Pro Leader: Johnathan Esper of Wildernesscapes Photography LLC in the USA will be leading the trip. Johnathan is a full time photographer and experienced international photo trip leader, and this will be his 16th trip he's led to Iceland since begining Iceland trips in 2011. Every trip so far has been an incredible experience for the participants. 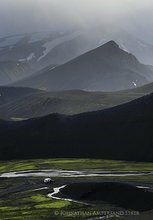 Johnathan has a unique background and an intimate knowledge of the land from living out of a car, exploring and photographing Iceland intensively for months at a time, and he specializes in wide panoramic landscapes and adventure photography. 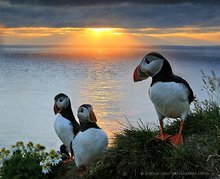 Award-winning Icelandic special guest photographer Örvar Þorgeirsson will also join us for an outing session sometime during the trip, for added instructional and cultural diversity. Örvar Þorgeirsson and his wife Mai run a fine art gallery in downtown Reykjavik, Iceland, and he is one the top photographers in the country. Clients always appreciate his patient come-alongside teaching style, and his exclusive private outings with clients are always in high demand. Trip Details: The cost of this tour is $4400 USD (or Euro equivalent), all inclusive, and includes all photographic opportunites and professional instruction, all ground and 4x4 transportation, all accommodation for 13 nights including a night in Reykjavik before the trip starts (accomodation will be comfortable, clean, yet simple, and will and will vary including authentic some nights in Icelandic Highland wilderness huts with very basic sleeping bag accomodation (sleeping bags provided), and the majority of nights spent at Icelandic farmstays and guesthouses, (often rooms are with shared bathroom facilites)(based on double occupancy), single supplement add $600); all meals and food (breakfasts provided by our guesthouses, picnic-style lunches and snacks including Icelandic smoked salmon, locally grown fruits, sandwiches, etc. ), and hot dinners at our places of accomodation and/or restaurants, and occasional more-basic camp-cooked meal while at the Highlands huts) and all entry fees and activity fees listed in this itinerary. A $1000 deposit is due at the time of registration, and the remaining balance is due by the trip start. Refund info see below, with a mix of cash refund and future trip credit, depending on cancellation date. This tour is open to digital photographers of all skill levels, and a trip packing list will be provided. There is a maximum group size of 6, and a minimum of 3. We'll be so immersed in the Icelandic countryside for our entire time as a group, that we have left no time to enjoy the sights of Reykjavik, so we encourage you to stay in Reykjavik for a couple days on your own, either before or after the tour. If you have additional questions, the trip leader will be happy to answer them over the phone or email. To book your space on this trip, please pay a deposit payment of $1000 USD per person. Until payment is sent, your place is not guaranteed. You may conveniently pay your deposit here on this website, securely with your credit which will be processed by Paypal payment processor. The deposit portion may also be paid via personal or bank check for USA and Canadian clients; contact me for further instructions. Final Payment. The final payment for the balance due on the trip (after your paid deposit), is due one week prior to the trip start. Payment options include bank transfer to my Icelandic bank account (details on request), cash in person at the trip start (with prior permissin), personal or bank checks (preferred for USA and Canada clients), and credit cards (a 2% credit card fee will be added for final payments with card).